There's always something about charts that tend to put things in perspective. That's probably why I like to start off a new year with them. So without hyperbole, I'm going to get this show on the road. 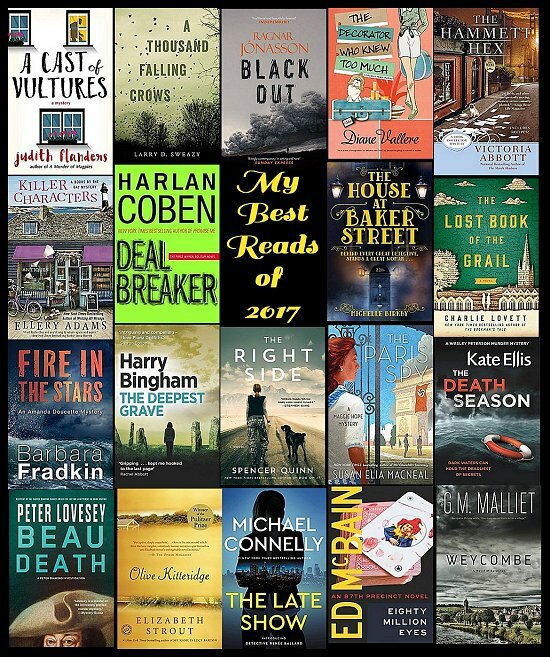 I usually average around twenty "A+" books that make up my Best Reads list, and 2017 was no exception with nineteen titles that made the cut. Since I read around two hundred books per year, these nineteen represent ten percent of my reading. Here's a list containing the links to my reviews. I have them listed in the order in which I read them. Setting is important to me as I read. I love to learn about other parts of the world, especially those which I probably will never visit. Although it isn't a deal breaker, I do keep track of the setting of each book that I read on an online map service. If you go to Book Travels by City 2017, you can follow my travels around the globe. You can enlarge the map, move it all around, click on the red markers to see the books I read that were set in that location.... 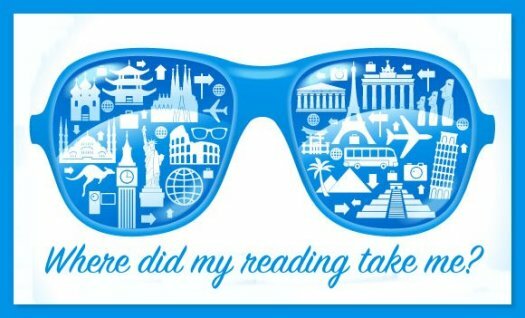 It's something fun for me to do, and it can help me focus my reading. These figures have been holding steady over the past few years, but I did notice that I was very easily distracted in 2017, and it was a struggle to maintain that number. I did set myself a reading goal on Goodreads, but I'm wondering if I should stop doing that in the future. Something for me to ponder. When I'm on the go, it's much easier to whip out the iPhone and bring up the Kindle app when I've got a few minutes to read. eBooks are just so darned convenient, but my heart will always be with The Real Thing. I still seem to be a fairly decent judge when it comes to choosing books to read that I will enjoy. I don't seem to care who writes 'em, as long as they write well! These are some more figures that have remained fairly constant over the years. #1 Police Procedurals, #2 Cozies, and #3 Historicals. This year, the short story genre skyrocketed because I found I could enjoy Agatha Christie shorts when I can't enjoy her full-length novels. I need to scale back on the number of Advance Reading Copies I accept in 2018. The ones I accepted for 2017 all seemed to have publication dates that bunched together, and all the "have to" reading with timelines tends to make me grumpy. Nothing new here. I like my crime fiction hot off the press, although that first category is much higher than it's ever been before, thanks to Agatha Christie. This year, I decided to focus primarily on the reading statistics for 2017 whereas in previous years I've given you a compilation of information beginning with the year 2010. If you'd like to take a look at all the other information, here's last year's reading statistics. I know some of you love charts and graphs every bit as much as I do. And if you'd like to know where I went to make these graphs, it's ChartGo, and it's free. Now it's time for me to pick up a book and begin creating new statistics for 2018! 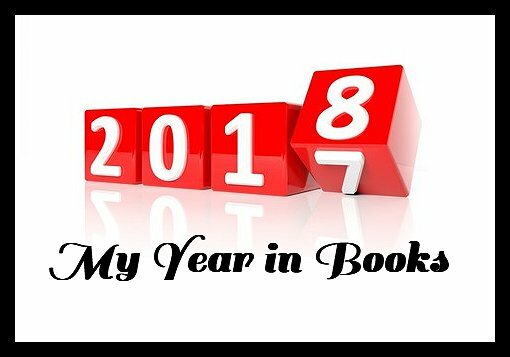 I like your charts and always look at my year end wrap up stats at goodreads. I see some similar faces in those top 19! Here's to happy reading in 2018! I've got a few of your 'best of' on my Kindle to read. I need to read THE RIGHT SIDE for my February mystery group - theme is 'service dogs'. I also have WEYCOMBE (which I bought based on my conversation with the author at Malice last year) and FIRE IN THE STARS. And I may have more of them, just can't recall right now. I like the detailed way you look at your own reading, Cathy. The charts are impressive, and I especially like is that it all encourages you to reflect. Or, at least, looking back has that effect on me. I'm glad you had a good reading year. Here's to a good reading year for us all in 2018! And your map is also impressive. There seems to be a dearth of books set in South America that are available to North American markets. I'm glad to see it's not just me who can't find them. I always enjoy the graphs and charts here. I have read three of your top 19: The Late Show, The Right Side and Fire in the Stars. The last two I read because they were reviewed here. For Latin America, I read a novel by Isabel Allende; much of it was set in Guatemala, Chile and Mexico. Interesting point: I was reading it as a nonmystery, a novel. Then all of a sudden in the middle of the book a dead body appeared in the trunk of a car. So there was a murder mystery and also a criminal ring. Despite my goal of reading a nonmystery -- here was a mystery anyway. It was fine. It always makes me feel as though I've accomplished something when someone tells me they read a book because it was reviewed here on my blog. I need to try Allende again. I read one of her books years ago-- can't even remember which one-- and I wasn't enthused enough to pick up another. Can you remember the title of this book you mentioned here? Love the charts and graphs. I tend to read more in the summer as well. Great reading year. I hope 2018 is a great reading year for us both! Allende's book is "In the Midst of Winter." It is political, a murder mystery and romantic.